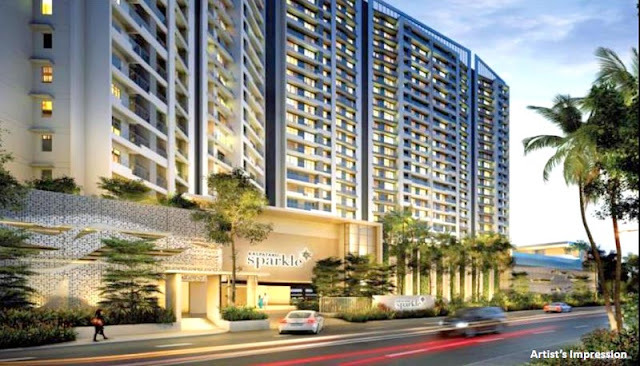 Kalpataru group launched Kalpataru Sparkle in Bandra east as a part of the redevelopment of buildings in MIG. This area has been the massive facelift in the past due to the growth of office spaces in Bandra Kurla Complex. To fulfil the growing needs of working professionals in Bandra Kurla complex a lot of projects have come up in this area including project life Rustomjee Oriana. 6. In close proximity to shopping arcades, schools, hospitals, etc. If you look at the layout of the project, it can be seen that the project has very good common amenities. Since the overall area of the plot is limited the open spaces are also constrained by it. Kalpataru has tried to load this area with all top of the line amenities which can justify the premium positioning of the project. 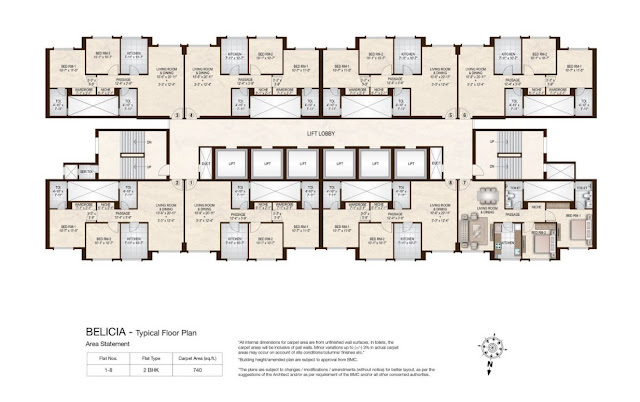 In a quick review of the project floor plans, we see that the size of bedrooms in 3 BHK is relatively less. 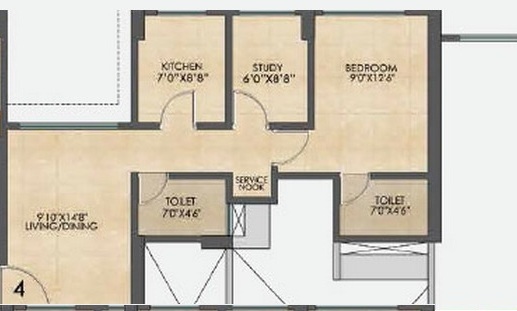 Although the size of the master bedroom is sufficient, the other two bedrooms don't live up to the mark. 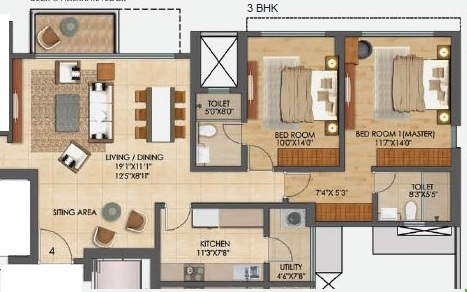 The size of toilets and kitchen is sufficient. It has one of the most sought after features in Mumbai that is sundecks which are available with every bedroom and living room. 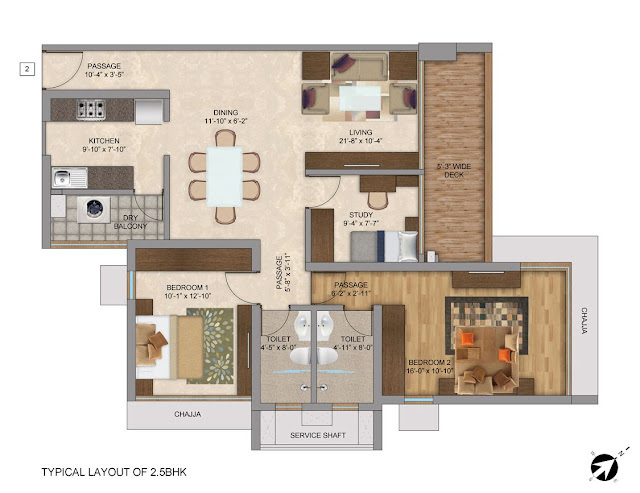 If we look at the floor plan of 4 BHK, the issue of the smaller bedroom is addressed. The sizes of all the kitchen and bathrooms are sufficient. In addition, it also showcases design efficiency which is a hallmark of Kalpataru projects. The location open project is very interesting. 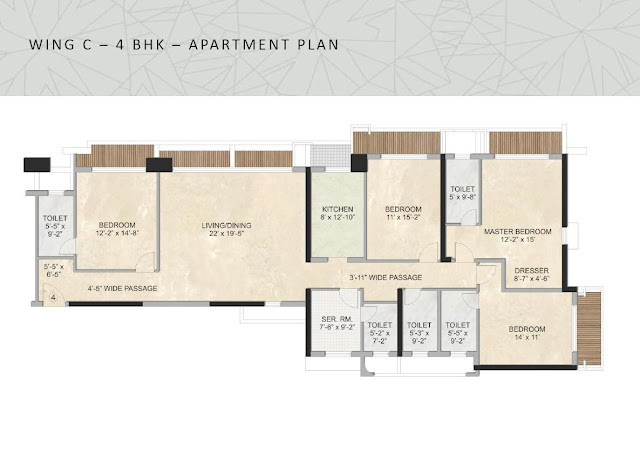 Not only has it offered excellent connectivity to western express highway butKalaptaru Sparkle review also central business district like Bandra Kurla Complex. The project does not have very good access road in terms of location but it is still one of the most premium projects in terms of location. 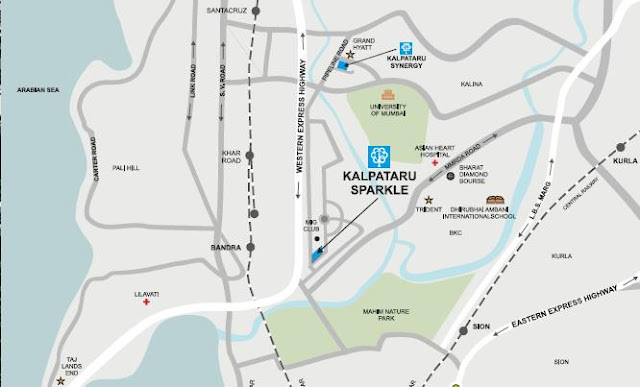 We believe that Kalpataru Sparkle is one of the better property which has come into development in Bandra east. Couple that with the brand name of Kalpataru, its design and execution quality and this project has all the making of becoming a landmark in future. So, if you are looking for a project which offers very good living spaces and is from a to a developer and are ready to compromise a bit in terms of common area, this is the project for you.